Attorney Edward Genson -- the man everyone wants to talk to. The attorney for Gov. Rod Blagojevich heated things up at the House Impeachment Committee hearings on Wednesday, trying to get some lawmakers removed from the committee and holding a spirited news conference after the day's hearings ended. Attorney Ed Genson on Wednesday appeared for the first time at the House Impeachment Committee hearings in Springfield. He questioned the strength of the federal case against the governor and challenged the committee on its standard of proof for recommending the governor be impeached. Genson told the committee that federal investigators may have recorded the governor's conversations, but the words don't amount to illegal actions. Genson characterized the tapes simply as "people jabbering." The Democratic governor was arrested last week on charges that, among other things, he was scheming to benefit from his power to appoint a U.S. senator. Genson says there's no evidence that Blagojevich ever actually made any demands in exchange for a Senate appointment. Even before Genson spoke, Republicans on the committee made it very clear that this is not a bipartisan panel. The minority chair of the committee, James Durkin, said "it's lopsided. It's not a fair shot at this." What they were protesting was the fact that only the Democratic chair of the committee and the Democratic speaker of the house can subpoena people, not the Republicans. The GOP committee members are furious about that. However, Committee Chair Barbara Flynn Currie said the hearings are "not going to be a cover-up or white wash of anything." Genson broke in, saying he finds "nothing for a standard of proof," meaning the committee doesn't have a basis for what would be an abuse of power and warrant the House actually drawing up impeachment charges. Genson also said three committee members made public comments indicating they've already made up their minds about the governor. He said Reps. Jil Tracy, Jack Franks and William B. Black shouldn't be allowed to take part in the impeachment hearings. "They made comments which show they can't be fair. They made comments which show that Rod Blagojevich cannot get a fair and impartial hearing of this committee," Genson said. Genson also asked the committee to postpone action until the governor and his defense can prepare more thoroughly. 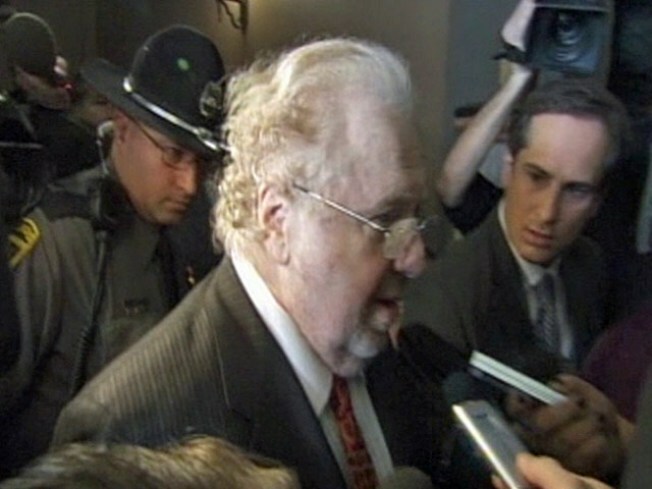 At a news conference after the hearings, Genson and assistant counsel Samuel Adam Jr. gave a heated explanation for their actions. When asked whether Blagojevich honestly thinks he's going to be impeached, Genson replied, "I can't know what's on other people's hearts. It's all I can do to make the best presentation I can in light of the fact that I'm faced with ... Hopefully, (the committee) will agree with me on what the right thing is. "The fact of the matter is, what we have seen so far is not sufficient. (It) isn't something that should be used as evidence in a courtroom, in a hearing, in a committee meeting -- it's just not right. "As much as people want to see something happening, they have to do it properly." Adam said he thinks the committee's "eye has been off the prize." "What we are here for today is probably one of the most important functions of a government, and that is to usurp the power of a governor and take him from the people who elected him," Adam said. "Here in Illinois, we're just going to rip a governor out of his seat, and the only thing the committee people can say is we don't need more than hearsay. That is backward thinking." Genson said the governor may hold a news conference on Friday, his first since his arrest, but it's not set in stone.